Concert ends at roughly 8.30 pm. You can get this ticket in all ticket agencies. The offer is valid only as long as the supply lasts. What does music have to do to remain in memory? How many changes can a sonic idea withstand in order to be recognised as such? 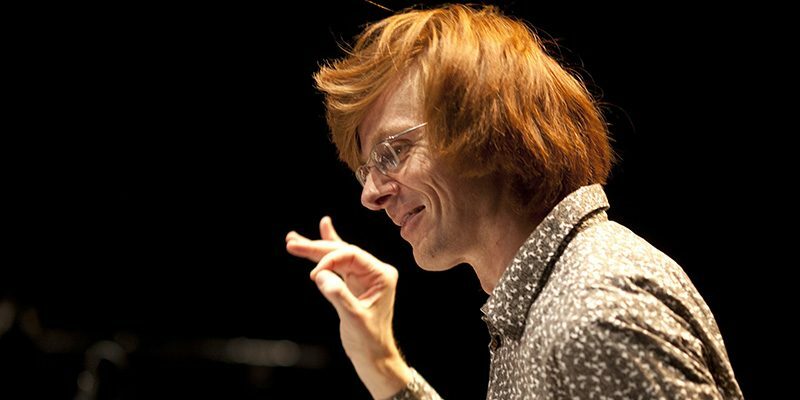 The composer Enno Poppe is a researcher in sound who is interested in precisely such questions. When composing, he proceeds from the most minuscule musical particles and develops them into coherent forms. His ensemble piece Speicher (Storage), for example, emerges from a sonic constellation consisting of only a few pitches to create a large-scale work lasting a full 80 minutes. Each detail, each formal section, is derived from this sonic DNA – a construct reflected on both the microcosmic and macrocosmic levels. Speicher, which fills up an entire programme, is a major feat in the full sense of the word, toying with the principles of change and recognisability and offering a great many sonic surprises. And who could perform this monumental work with greater authenticity than Ensemblekollektiv Berlin, with whom Poppe has worked closely for years as a composer and conductor?